A salary employee (also known as a salaried employee) is a worker who is paid a fixed amount of money or compensation (also known as a salary) by an employer. For example, a salaried employee might earn $50,000/year. Salaried employees are typically paid by a regular, bi-weekly or monthly paycheck. 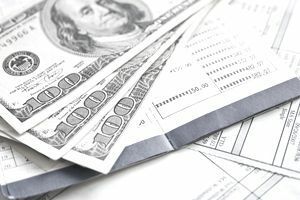 Salaried employees are often also known as exempt employees, according to the Fair Labor Standards Act (FLSA). To be considered exempt, you have to make at least $455 per week ($23,600/year), receive a salary, and perform particular duties as defined by FLSA. In addition, some states have enacted overtime laws. In those locations, whichever standard (federal or state) would pay the higher amount applies. For example, in California in order to classify a salaried employee as exempt from overtime requirements, large employers must pay the worker at least $49,920 per year. All other employees would automatically be eligible for overtime regardless of job responsibilities. In addition, non-exempt employees must be paid overtime wages equivalent to at least 1.5 times the California minimum wage of $12 per hour (for large employers) or $18.00 per hour. In New York, as another example, there are salary thresholds that require most employees who earn below a specific amount annually to be paid on an hourly basis and receive overtime pay. The salary threshold varies between New York City, the New York metro area, and the remainder of the state. Check with for your state’s department of labor for the latest overtime provisions in your area. A salary employee’s earnings are often supplemented with paid vacation, holidays, healthcare, and other benefits. There are many differences between a salaried employee and an hourly employee. First, while a salaried employee receives a fixed amount of money, an hourly employee receives an hourly wage for each hour worked. Therefore, salary workers who meet the criteria as exempt employees do not have to keep track of their hours in the way that hourly employees do; for example, they do not have to sign a daily time sheet. Most exempt salaried employees are not offered overtime pay. Salaried employees are paid their salary regardless of how many hours they work during a workweek. This means that many high paying positions do not receive extra wages such as time and one-half for working over 40 hours a week. However, some lower salary positions are still eligible for overtime pay, based on state and federal laws. On the other hand, hourly employees are typically able to receive time and one-half of their hourly wage for every hour of overtime work. Some employers even pay double time for holidays, although this is not mandatory. Also, most salaried employees are considered exempt employees, while most hourly employees are considered nonexempt employees. There are, however, some exceptions to this rule. For example, there are some exempt employees who are not salaried (such as those who receive a fee for a particular job, like a computer technician). There are also some nonexempt employees who are salaried, but their job duties fall under the definition of nonexempt. There are some possible disadvantages to a salary position. For example, you are typically not able to earn overtime. That means you often work extra hours for no extra salary. It is also harder to separate home and work life when you have a salary position. In general, with a salary position, you are often expected to work extra hours to complete tasks (without extra pay), which can cut into your personal life. That being said, there are many benefits to a salaried position. Salaried positions guarantee a dependable, exact, and expected amount on each paycheck. This can provide a sense of security to a salaried employee. You are also more likely to receive benefits in a salaried position, particularly a full-time salaried position. These benefits often go beyond healthcare to include retirement contributions and paid vacations. Salaried positions often have a higher perceived status and job titles that seem more professional. A work history containing professional job titles can serve as a more marketable foundation for future professionally oriented jobs. If you value the security of a regular paycheck, a salary position may be ideal for you. You may also want to search for salary positions if you want more extensive benefits. If the apparent status of a job is an important psychological factor for you then you might prefer a salaried job. However, if you value keeping a clear separation between work and home life, and if you dislike the idea of working extra hours for no extra pay, you might prefer an hourly position.